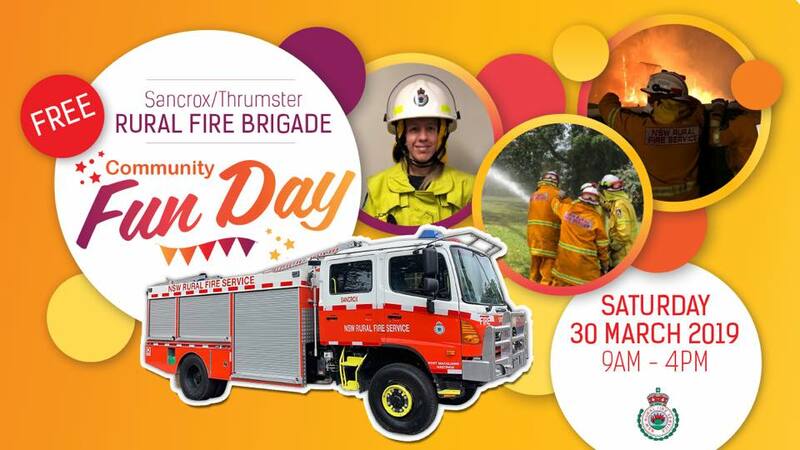 Join us for a FREE fun filled day for the whole family at the 2019 Sancrox / Thrumster Rural Fire Brigade Community Fun Day. 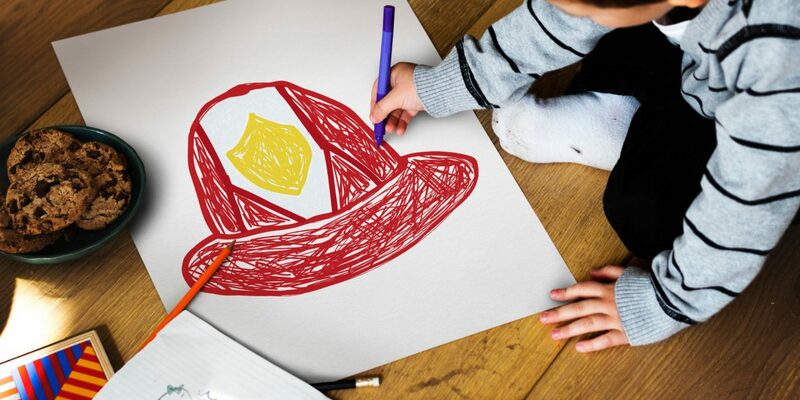 Meet the firefighters, see the fire trucks and play with the fire hoses … there’s so much to do and see! 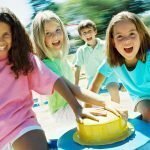 Enjoy a free BBQ for the whole family, jumping castle and face painting for the kids, hose drills, truck displays, experience a smoke house and other demonstrations throughout the day. 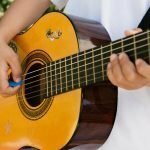 Most importantly, it’s all FREE! 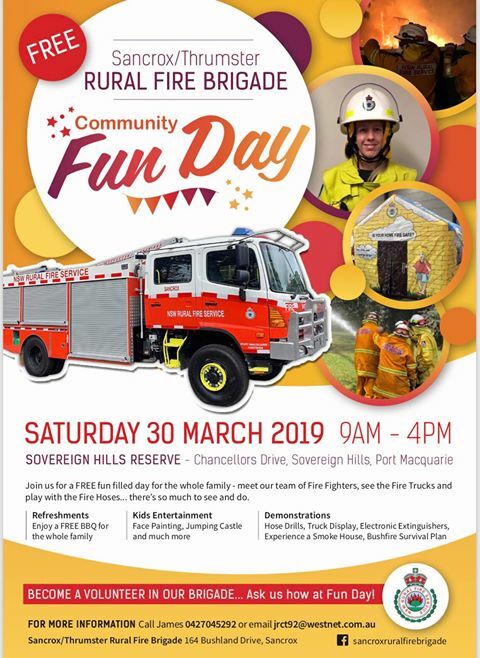 See you from 9am on Saturday 30 March 2019 at Sovereign Hills Reserve on the corner of John Oxley Drive and Chancellors Drive, Sovereign Hills NSW 2444.